The digital divide must not be allowed to increase over the coming decade which, potentially, could occur if the market is allowed to lead. The first meeting of the coalition who have backed the campaign was held on March 2nd 2010, and on March 4th the campaign was launched, leading to national, regional and online press coverage. There are a growing number of people, organisations and businesses who are joining the campaign, which has been set up to lobby government to focus on the Final Third First. In addition, the creation of BDUK (Broadband Delivery UK) means there is an advisory role for FTF to help ensure that broadband is delivered to 100% of the UK. 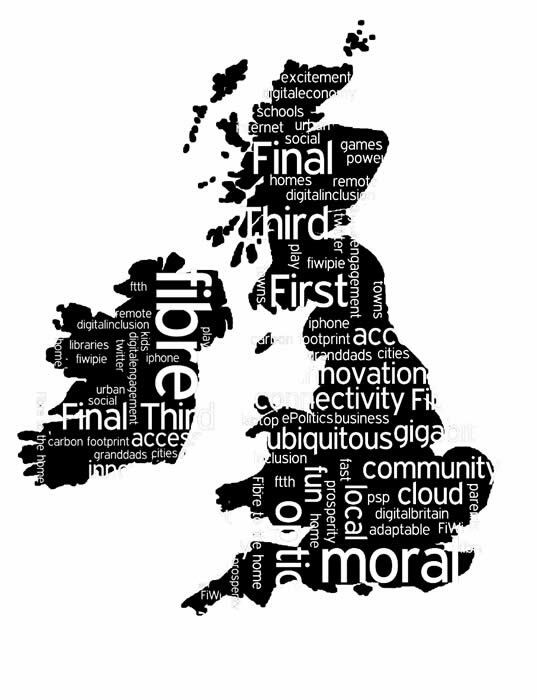 The aim of our campaign is that the Final Third – the 30% or more of the UK where market failure is predicted for next generation access and superfast broadband – should be the first to receive public sector intervention and support, and that this intervention needs to happen urgently. Many of the areas in the final third are smaller towns and villages, which are facing many challenges to their sustainability as places. Young people and businesses are moving out. For this reason, the provision of superfast broadband quickly to those areas would have a much greater economic and social benefit than simply providing better broadband to those places which already have good broadband. Using public funding to support areas that are just at the edge of commercially viable areas, would result in the major Communications Providers simply using their existing methodology and models to provide superfast broadband to a slightly higher percentage of the country. However, deliberately targeting the really ‘difficult’ areas would unleash creative thinking to develop and test new and much more affordable methodologies, which could potentially cut the cost and speed up the roll out of superfast broadband for the whole of the UK. Would allow early testing of community owned and managed first mile extensions and interconnects. Would simplify negotiations on duct and pole sharing given that in these areas it would clearly make sense to have only one cable, capable of carrying multiple fibres, to be shared on an open, equivalent and reciprocal basis. Industry and customers will glean early returns from operational cost savings when replacing small local exchanges. It would allow increased transparency on costs per customer, per cabinet, and per exchange area. The investment in solving existing broadband not-spots can be optimised by ensuring intercepts with next generation access solutions. To make this happen, we support the principles outlined here.